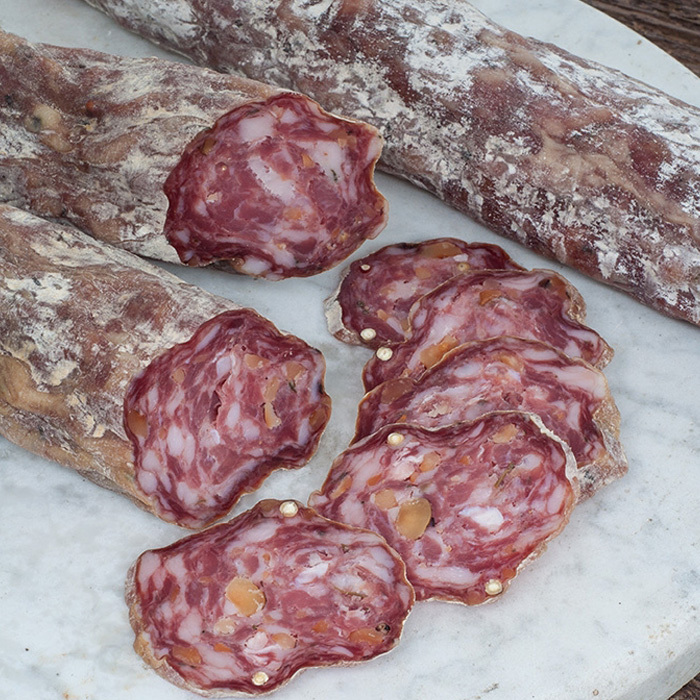 Three 80g saucissons, a charcuterie treat for your next dinner party. Wild Mushroom & Truffle Saucisson : A true luxury saucisson, this particular sausage uses ceps (porcini mushrooms) from France and truffle oil to create a sumptuous saucisson that really is testimony to the art of the charcutier. 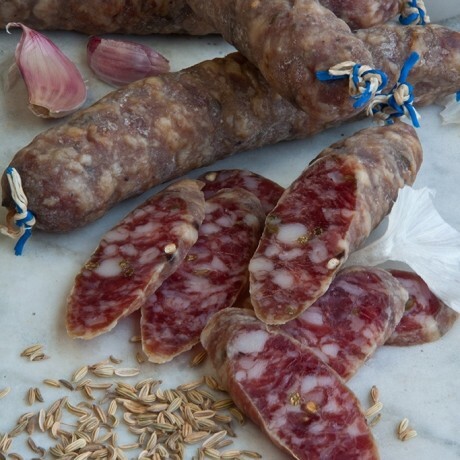 Wild Fennel Saucisson : A British hommage to the classic Rosette de Lyon with a local flavour – some of the fennel seeds are foraged on an East Sussex beach. Air-dried for up to a month to enable the flavour to develop. 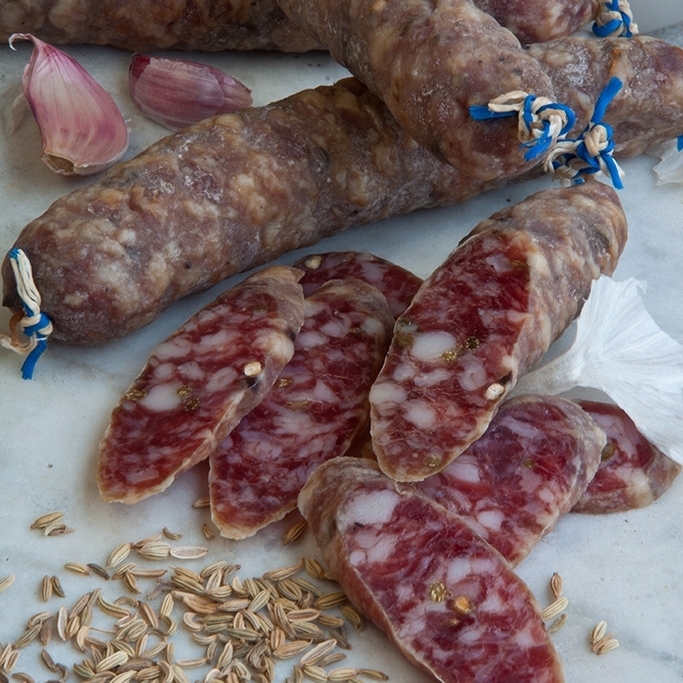 Cobnut and Red Wine saucisson : Made with a mix of Kentish cobnuts and hazelnuts and British free-range pork shoulders, bellies and legs. While it owes something to the French Noisette, it’s absolutely a unique British creation. Woah! Bought this as a Christmas gift for the man in my life and it's AWESOME! As it's described as 'modest' I was expecting a hamper half the size and for the contents to be much smaller than they are. This hamper is fantastic and would be a perfect gift for any meat lover! Thanks so much!